Mrs. Sylvia A. Sebelist, 92, died at Hospice of Lancaster County on Friday, September 23rd from complications of a broken hip. She was born on June 17, 1919 to the late Harry O. and Emma Charles McMullen, formerly of Rohrerstown. She was preceded in death by her late husband, John G. Sebelist Jr. and a brother and four sisters. Sylvia is survived by her six children who include John R. “Bob” Sebelist and wife Diane of Strasburg; Betty Jean Hayworth of Breckenridge, TX. Joseph R. Sebelist and wife Dale of Manheim; Susan M. Briggs of Mountville; Peggy A. Fischer and husband Tom of Mountville; and Cindy L. Kenney husband of Keith of Lancaster. Sylvia enjoyed crocheting and working in her flower bed. She was an avid reader and enjoyed big band music. Sylvia resided for the last 6 years at Pleasant View Retirement Home. Prior to that, she lived in Lancaster. She was employed by the Lancaster City School District for 17 years and then at Conestoga View before retiring. 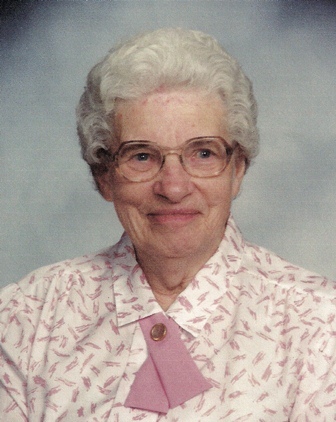 Sylvia was a member of the Christ United Methodist Church in Lancaster. She is survived by 13 grandchildren, 22great-grandchildren and one great-great grandchild. Relatives and friends are respectfully invited to attend a funeral at the Christ United Methodist Church, 935 East Walnut Street, Lancaster, on Monday September 26th at 11:00 am. Friends may call at the church on Monday from 9:30 A.M. until the time of service. Interment will be in Riverview Burial Park. In lieu of flowers, contributions in her memory may be sent to Hospice of Lancaster County, P.O Box 4125, 685 Good Drive, Lancaster, PA 17604-4125 or to the Deborah Hospital Foundation, 20 Pine Mill Road, Browns Mills, NJ 08015.